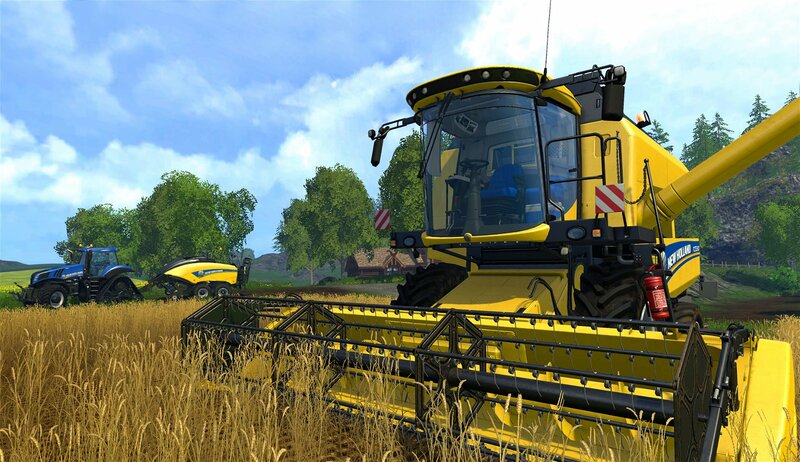 Believe it or not, Farming Simulator despite not being a big deal in the AAA gaming world, is actually a big enough deal that multiple titles have already been released. The franchise has sold over a million copies, and it’s not just families, but actual farmers that sit down and enjoy the game. Now, there’s a current gen console version available, and while in some ways, it’s a worthwhile game, in others, it’s problematic. You’re a farmer and you want to make money to own more property and have better equipment. That’s the “story” of Farming Simulator 15, there’s no real campaign mode to speak of. Having said that, the game gives a LOT of freedom in the way you can tackle being a farmer, just don’t expect to be visually blown away in the process. The studio has created two massive environments—European and North American farm settings—as the playgrounds for your farming exploits. However, despite nice graphical touches like dirt accumulating on vehicles, day/night cycles and weather effects, pop up and draw in is evident everywhere, and there are even occasional dips on framerate. On the other hand, despite the massive size, you can “teleport” from one vehicle to the next across the entire sprawling map, with no loading whatsoever, so while the game is limited in technical prowess, it’s very responsive. Sound is also a bit limited, with no speech or background music, just the occasional birds, chickens, rainfall and the constant, hypnotic drone of various tractor engines, so get your Spotify account ready to stream. On the actual gameplay front, this is a real time—not turn-based—simulator, and everything is pretty hands on. 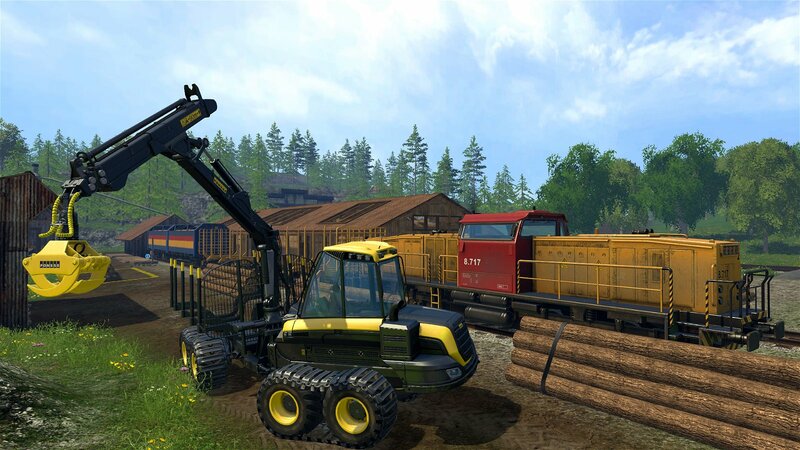 You steer combine harvesters, you cultivate fields with tractors, you even go logging, chopping down trees, or collecting eggs from your chicken coops. All of it is done in either first person, or third, from behind the vehicle you’re controlling. GIANTS have taken the wealth of commands for various actions and somehow managed to compress them onto a DualShock 4. 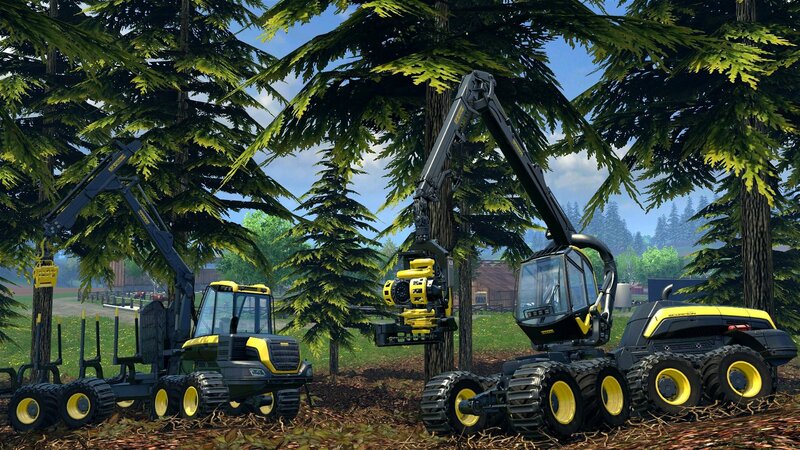 However, for all the things you can do in Farming Simulator 15, what really hurts the game is how limited—and newbie unfriendly—the scope of being a farmer actually is. Very basic tutorials, for example, show you the general flow of raising crops, and there are other individual tutorials for the different kinds of equipment, but it’s similar to a tradesman showing you basic electrical wiring, plumbing 101, and a bit of carpentry, then saying, “Now go build a house.” Sure, you’ve got a bunch of different skills you’ve just learned, but no comprehensive way to see how they interlock together. 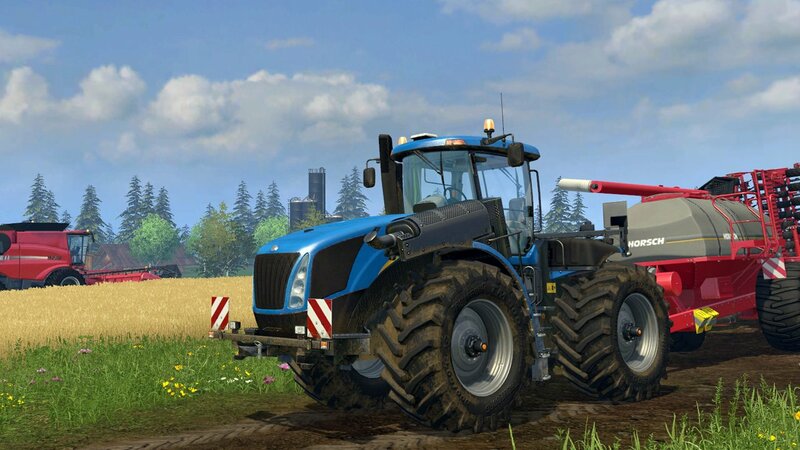 There are numerous online guides dedicated to getting newbies started in the Farming Simulator series, and while it’s great they’re out there, it’s damning that they stand in for a decent tutorial or introductory campaign. The lack of a campaign is another missed opportunity for the game. The game throws you into the deep end with a few fields and tractors and leaves you to your own devices. Most simulation games—like the recent Tropico 5—have a campaign with a structured narrative and goals, and a sandbox mode for people that just want to use all the toys made available. FS15 eschews all this in favor is just getting right into the farming for profit. And that, perhaps, is the most limiting factor of all. The game really is about just making enough money to buy more real estate and better equipment. While real farming deals with everything from drought to dust bowls to GMO crop ethics, to going “boutique” as a fair-trade organic premium supplier versus selling your beef to a fast food conglomerate. None of the many potential environmental, ethical or financial hazards/opportunities real farmers encounter ever troubles virtual farmers in FS15. The only natural hazard you have to worry about is ignoring mature, harvest-ready crops so long they whither. There are also bugs to contend with such as shoddy AI workers that get stuck in the environment while sapping away your income as their salary. Another bug causes your hired help to drive vehicles at nearly zero miles per hour unless you go in and reset the cruise control speed on your vehicles. On the other hand, GIANTS nails the fundamentals of the actual farming process. It’s very educational—and even soothingly hypnotic—tilling fields, spraying them down, watching plants grow, harvesting them, collecting wool, or selling off tree and grain leftovers to biogas and heat companies. It’s all intricately done, and it’s a real test of time and resource management to get a farm up and running, ready to pay off loans and make some money. It’s a shame that that’s the ONLY game you get play. Fortunately, there’s an online mode for cooperative play, but even then, you’re still just dividing up chores for profit. 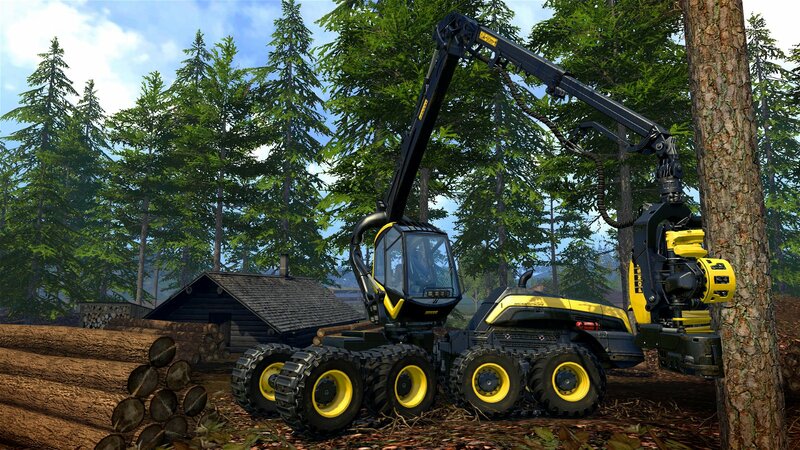 What really hurts the PS4 version of Farming Simulator 15 is the value proposition. The PC version, which is technically the best, as well as enjoying a suite of user mods with everything from new equipment, new maps and even new gameplay features, is $30. The PS4 version is $50. Sure you get the online multiplayer capability of the PC, but it’s severely crippled in every other way, while PS3/360 owners pay $40 as well, and don’t even get the online co-op. 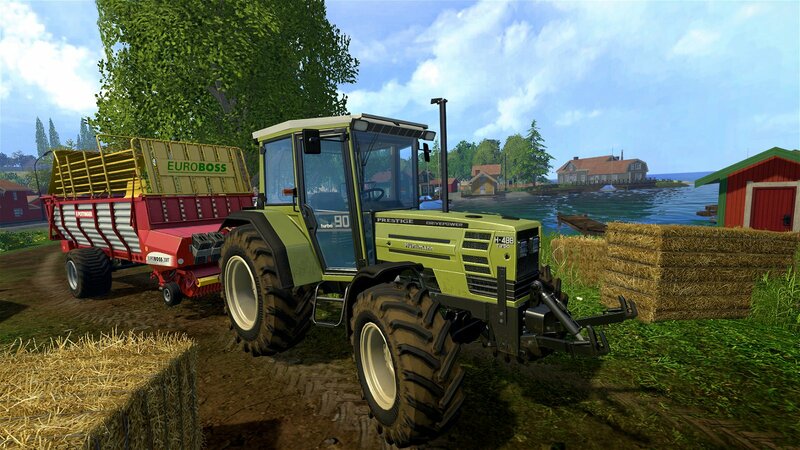 Farming Simulator 15 can provide a tranquil, educational and interesting virtual farming experience. However, at $50 for a hamstrung version compared to its PC sibling, the bugs and narrow gameplay make it difficult to easily recommend. If you’re curious and ever find it on sale, by all means, pick it up. 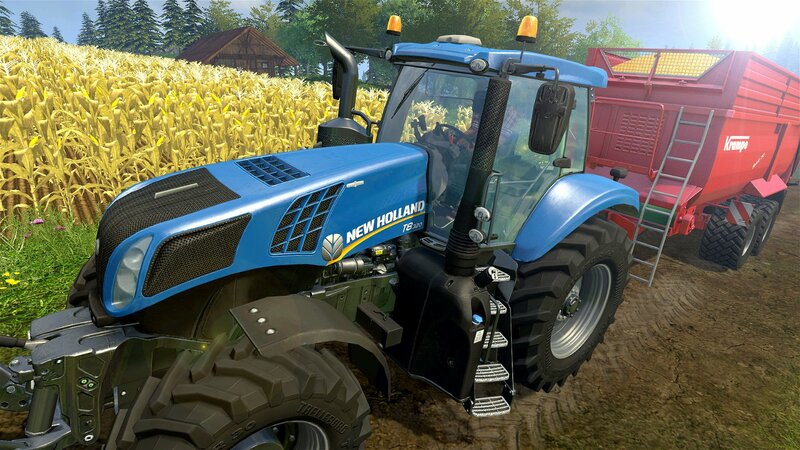 There are numerous online guides dedicated to getting newbies started in the Farming Simulator series, and while it’s great they’re out there, it’s damning that they stand in for a decent tutorial or introductory campaign.